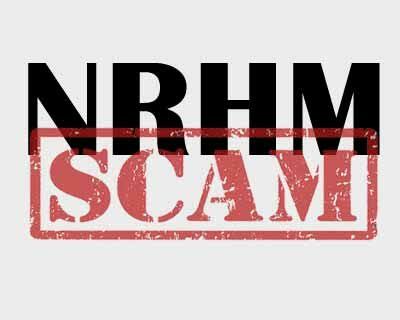 New Delhi: Top officials of Uttar Pradesh Health Department had allegedly colluded to give contract of a crucial high-tech tele-medicine project under the National Rural Health Mission to a construction company, CBI has claimed. The agency in its probe also found that the company allegedly outsourced the project worth over Rs 9 crore to a small company thereby causing a loss of over Rs 3 crore to the exchequer, CBI sources said. They alleged that the contract which was to be handled by National Cooperative Consumers’ Federation of India Limited (NCCF) was given to a private firm Aanjaneya Business India Private Limited, which allegedly dealt with civil construction and had no experience in executing tele-medicine project which required expertise in latest tele-communication technologies. Under the tele-medicine project patients and doctors in 10 districts of Uttar Pradesh, with support from Sanjay Gandhi Post Graduate Institute of Medical Science could consult super specialists from their hospitals using communication tools. After three years of probe into the scam, CBI has recently filed a charge sheet in the scam at Ghaziabad Special Court accusing the then Project Manager of NCCF A K Saxena now posted in RDSO, the then Director General Medical Education of Uttar Pradesh M C Sharma (now retired), the then Joint Secretary in Uttar Pradesh Government Ram Kumar Prasad (now retired), Prashant Saxena, Director, Aanjaneya Business India Private Limited and the company, the sources said. CBI has alleged that these officials colluded to award the telemedicine project at exorbitant rate in an arbitrary manner to NCCF in 2008 which does not have expertise to implement the work, the sources said, adding NCCF got the work the implemented through Aanjaneya Business India Private Limited, a business associate of NCCF which lacked expertise to handle such project. The project was then again outsourced to another private company which implemented the project at much cheaper rates. I appreciate the CBI agency to work without pressure and expose such irregularities in our systems administrators actions which are causing a huge loss to our country and poor people for whom Govt is trying to offer maximum. What a shame for my state and my nation.